Gov. Jared Polis is proposing expanding the state’s program to issue driver’s licenses to undocumented immigrants to include the driver’s license office in Durango. Currently, only four offices in the state issue licenses to undocumented immigrants, including this one in Denver. Gov. 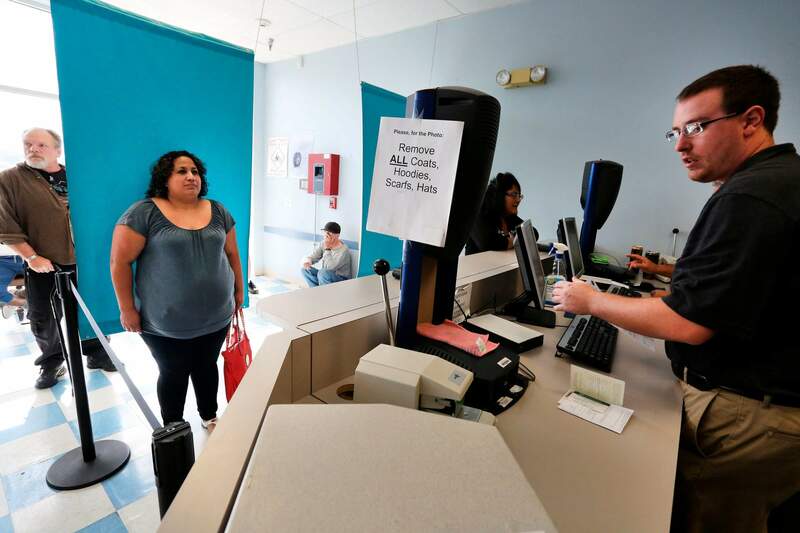 Jared Polis has requested that lawmakers set aside more than $480,000 that would allow Durango driver’s license officials to offer licenses to undocumented immigrants, an expansion of a statewide program burdened by a months- or years-long wait list. The program, launched in 2014 and expanded last year, allows undocumented immigrants who live and pay taxes in Colorado to obtain driver’s licenses, part of an effort to reduce the number of uninsured drivers on Colorado’s roads. Immigrants can currently obtain licenses by appointment through offices in Lakewood, Grand Junction, Colorado Springs and Aurora. Polis’ request would add a fifth office in Durango. Polis’ budget request, if backed by legislation, would fund a Durango-based program through 2021 and add 23 daily appointments. Currently, the state’s four driver’s license offices that can issue licenses to undocumented immigrants can process 130 licenses per day. But Sen. Don Coram, R-Montrose, hopes to expand the governor’s request by adding five to six more offices in rural Colorado. Since 2014, demand for appointments has surged, contrary to the state’s expectations, generating a black market where appointments have been sold for $500 to $1,000, according to the office of former Colorado Attorney General Cynthia Coffman, who launched an investigation in 2016. Currently, the wait list for an appointment can be three months or two years, according to an analysis by the Polis administration. Both Polis and Coram want to save the program before it hits a cap of 66,000 licenses by the end of June, automatically triggering a reduction of the four offices to one in Denver. On Thursday, Coram said he expects to sponsor legislation that will keep the program running.